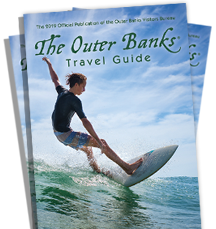 Our vacation rental accommodations and lodging options will provide all the amenities and features you need to make your Outer Banks vacation a memorable and pleasant experience. Each resort condominium includes access to the sound front pool, free wi-fi, private hot tub on each deck with views of the water and the most amazing sunsets on the beach, gas grill, luxurious interiors, and 50” widescreen TV with surround sound. Waves Village is conveniently located next to great Outer Banks shopping and dining, including Kitty Hawk Kites, Life is Good, Forbes Candy & Coffee Shop, and Good Winds Restaurant. Waves Village puts an incredible assortment of watersports activities at your fingertips, including kiteboarding (lessons, rentals, sales), kayaking, and stand up paddleboarding (SUP). Book the vacation of a lifetime today!